Get a degree that will set you up for a successful future. 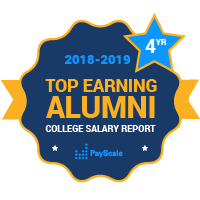 Learn more about North Dakota’s top two-year colleges based on graduate salary. The North Dakota University System includes 6 colleges that grant associate degrees. Despite the name of NDSCS, only about 25 percent of the associate degrees granted are science, technology, engineering or math subjects. A large percent of graduates from NDSCS say that their jobs are meaningful and help make the world a better place. Just over 3,000 students attend the North Dakota State College of Science. The school was founded in 1903 and its motto is "The Science of Success."